In recognition of Social Work Month, we sat down with social worker Sara Uram to learn more about what she does at Sheppard Pratt, and what inspired her to pursue a career in the field of social work. What is your role at Sheppard Pratt? 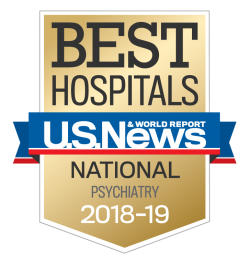 My role at Sheppard Pratt Health System is as a clinical social worker within the Neuropsychiatry Program. I specialize in working with individuals within the program’s Developmental Neuropsychiatry Track. I primarily work with individuals diagnosed with autism spectrum disorder as well as other neurodevelopmental disabilities and intellectual disabilities, providing individual, family, and group therapy. I completed my MSW at the University of Maryland School of Social Work. As part of my MSW program, I participated in training at the Kennedy Krieger Institute as part of their Maternal and Child Health Leadership Education in Neurodevelopmental and Other Related Disabilities (LEND) Program. I started my career as a social worker here at The Forbush School working in the Therapeutic Autism Preschool Program. I have also worked at other non-public schools, as well as on Sheppard Pratt’s Child and Adolescent Neuropsychiatry Unit. Throughout my career as a social worker, I have focused on working with individuals diagnosed with autism spectrum and related disorders. My youngest sister played a large role in me deciding to become a social worker. When she was 18 months old, she stopped achieving developmental milestones. Throughout the years, my parents searched for a diagnosis for her regression in skills. I recall going to doctor’s appointments in hospitals throughout the east coast with my parents in search of a diagnosis. During our journey, the one component that was always missing from the evaluation and visits was a social worker to support my family through this difficult journey. My sister continues to influence my career as a social worker throughout her adulthood as she faces many challenges in seeking and obtaining adulthood services and supports. 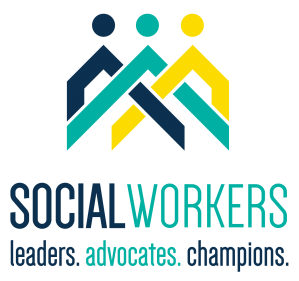 How do you implement social work values into your clinical practice? The core values of social work practice (service, social justice, dignity and worth of person, importance of human relationships, integrity, as well as competence) influence my daily work. I use both my personal experience and clinical training to address concerns of individuals and their families with autism spectrum disorder and other neurodevelopmental disabilities. Through my work, I empower and teach advocacy skills needed to confront daily discrimination and obstacles. I believe that every individual has a right to life worth living; one full of positive opportunities for growth and self-worth. Helping individuals to develop a supportive network with formal and informal supports as well as community-based resources is essential. It is also important to teach appropriate social boundaries and skills to protect one’s self against potential abusive or destructive relationships. Additionally, advocating for appropriate ethical standards and treatment is imperative. Within my clinical practice, I continue to attend trainings as well as engage in evidence-based treatment. As greater numbers of individuals with autism spectrum disorder and neurodevelopmental delays transition to adulthood, it is essential that we, as social workers find ways to continue to support them during this transition. Sara Uram, LCSW-C, obtained her bachelor's from Towson University, and her MSW from University of Maryland, Baltimore. Sara was trained at Kennedy Krieger Institute, and completed the Maternal and Child Health Leadership Education in Neurodevelopmental and Other Related Disabilities (LEND) Program. She is passionate about working with transitioning age youth and young adults with autism spectrum disorder and other neurodevelopmental disabilities.